The system and era of slavery are looked upon today as a period of shame in history, where perverse incentives were at work to suppress human rights and liberty. There are several moral, philosophical and ideological arguments provided through history to condemn the system and practices that existed during the 16th to the early 19th century. 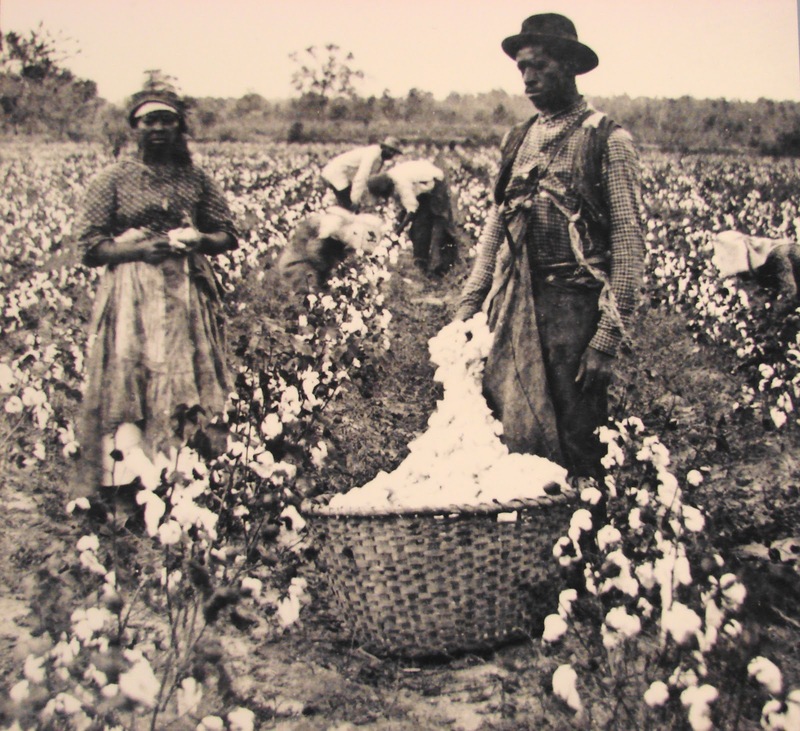 Slavery was most widespread in the New World in the vast plantations of cotton, tobacco and coffee and Great Britain the biggest player in the trade. According to most economic historians, various economic factors were at play in the establishment of the system in the Americas- from transplanting and expanding the existing system of slave trade in Africa to avoid bearing the innovation cost of setting up a new system in Europe to the replacement of contractual indentured labour with slaves which would reduce cost of attrition and re-training and also ensure that there were no lawsuits involving runaway labour. There was suppression of labour costs due to slave labour being kept in poor conditions without minimum wages and material comforts because of the absence of any pro-labour regulatory mechanism. However, economic logic contributed to the downfall of the system as well. Transformation in the economic life of the world- from methods of production and systems of trade to the transfer of economic power among different classes and the rise of new ones- led to one of the most monumental events of human history, the abolition of slave trade by the European trading countries. This article seeks to show how economic factors across different regions of the world provided an impetus to abolitionism and uprooted the institution that had been present for over 200 years. It seeks to argue that abolition was not just a humanitarian move on part of the imperial powers of the 19th Century but was a step that made sound economic sense. Given how entrenched the slave trade was, it is remarkable that the campaign to abolish it that began in 1787 succeeded only two decades later. The interesting fact to be seen here is that slave trade was removed through an Act of the British Parliament and not overthrown by an uprising or revolutionary action on a large scale. Slave trade was pivotal to the profit earning capacity of plantations in the West Indies which were under British control. This economy was protected by the mercantilist commercial policy of the old colonial system which eventually ceased to function as the Industrial Revolution occurred and a new capitalist class and emerged. Free market principles began to be accepted and world trade in commodities opened up. Sugar from the West Indian plantations now faced competition from cheaper sugar flowing into the world market from Cuba and Brazil. At the same time, the West Indian plantations faced a crisis of overproduction. The comparative high price of the West Indian sugar reflected not economic success but a misallocation of economic resources as a result of protectionism. Thus, as profitability of West Indian produce in the world market fell, demand for bounties and subsidies for these colonial plantations for their past contribution to the British economy grew. However, these demands did not find favor in the changing economic milieu and transforming political class. At the same time, the nascent and quietly growing industrial class sought a platform to display their potential political power. Abolition seemed a good fit for an issue to fix their banner on as it attacked the West Indian plutocrats and the mercantilist class that stood in the way of acquisition of power by the new capitalists. This led to a series of petitions, boycotts and meetings all over England with the motive to ignite public passion against slave trade and force the Parliament to take cognizance of the issue. This view was supported by a number of economic historians, foremost among them being Eric Williams, who added a new dimension to the understanding of the abolition movement in his path breaking work, ‘Capital and Slavery’. Another argument against slavery was provided by the work of Adam Smith. ‘Wealth of Nations’ contributed to the antislavery cause by likening slavery to a monopoly or privilege which could not be sustained in a free market economy. Smith claimed that slave labour was inefficient because slaves had no incentives to earn profit or hold property. The idea of the superiority of free wage labour was the one underpinning this critique of slavery. Slave production was seen as inefficient from the point of view of industrial capitalism and an economic anachronism in the age of capitalist production. With the new system, there was the spread of the belief that only economic self-interest could guide workers towards increasing their productivity. At the same time, the new industrial class of Britain wanted to undertake a vigorous opposition campaign against slavery and spread awareness about the inhuman working conditions of the plantations of the New World to ensure compliance of factory workers in England. The capitalist class wanted the factory workers to value their relative freedom in this way and prevent any large-scale strikes and protests against poor working conditions in the upcoming factories. These points raise an important question- was the abolition movement guided solely by noble humanitarian causes and issues of morality or there was more to the story. They provide a glimpse into the economics behind the abolition movement. Even after the abolition of slave trade by the British Parliament- the end of the trans-Atlantic trade in 1808 and slavery in British territories in 1834- slavery and trade continued in other non-Western parts of the world and the British response to this was gradual and lethargic and conditioned by local political and economic circumstances rather than some amorphous anti-slavery, pro-humanitarian logic. Thus, this shows that economic self-interest played an important role in the actions of the British political class.